Giving a speech in front of a large gathering of people is not everyone’s favorite thing to do. 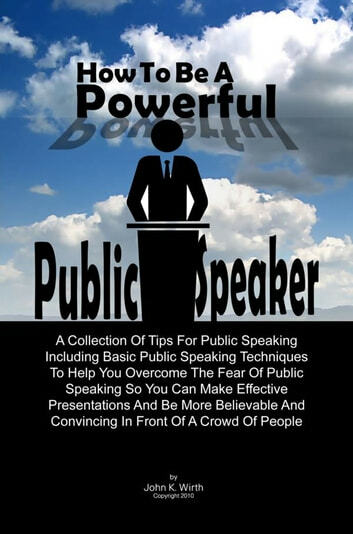 Nonetheless, in one way or another, we all go through some form of public speaking whether to a small or large extent depending on our line of work or business. A simple brainstorming session with 3 people is a form of public speaking. Addressing your employees on your weekly business meeting is another form of public speaking. Giving a motivational speech to a group of students in order to inspire them to choose the same career path as yours is yet another form of public speaking that requires a great deal of persuasive skills. 1. Research your topic. When you know your subject matter by heart, it will be easy to remember your line of thought and the words to put together. Even if different questions will get you sidetracked from your prepared speech, you can easily get right back on track when you are knowledgeable about your topic. 2. Practice makes perfect, as the experts say. Like any other skill, you need to repeatedly practice in order to get better. Rehearse your tone and body language, prepare for possible problems, work on your timing and presentation. 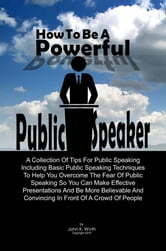 Learn more effective public speaking tips inside!